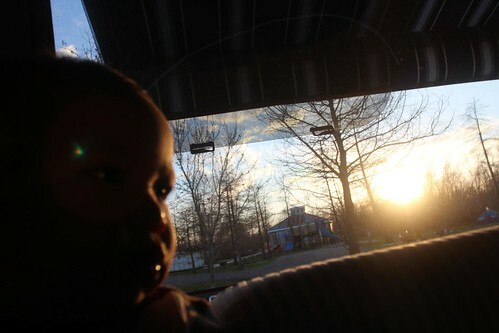 Mali Mish - Day 178: Bayou Segnette State Park. 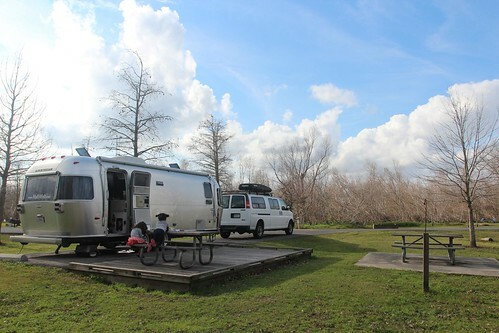 Day 178: Bayou Segnette State Park. This morning we said good-bye to our ocean front Walmart parking space in Mississippi and headed west into the state of Louisiana. 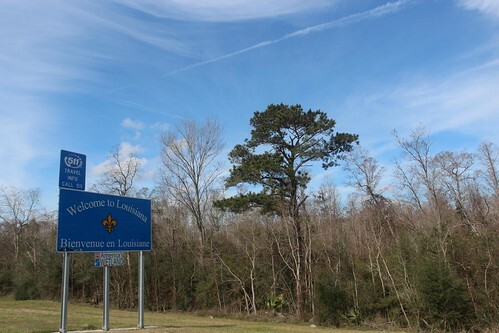 Our oldest kid, Ava, was super excited to finally cross into Louisiana. 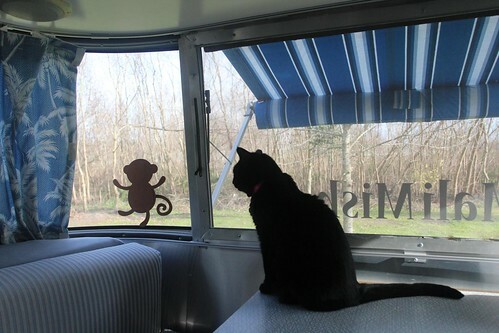 There are four places that she really wanted to visit during our current road trip adventure. First was to see our friend Carrie for Halloween (check! ), then it was to go to Disney World (check! ), then to see mermaids at Weeki Wachee (check!) 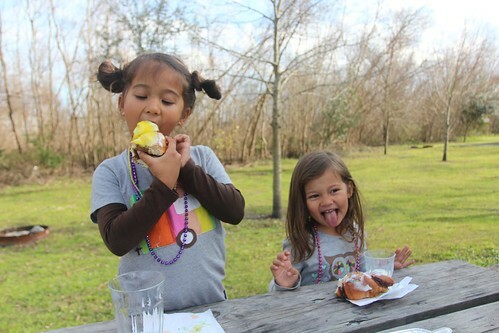 and last, but not least, was to go to New Orleans… to eat beignets! 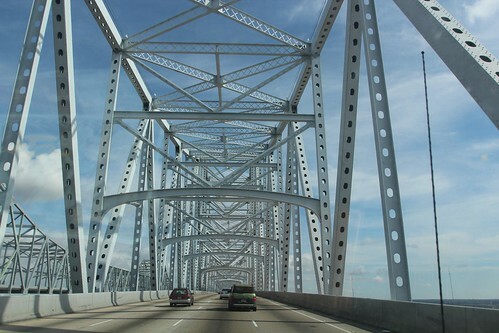 The last time we drove into New Orleans was during our 2010 cross country trip and it did not go as smoothly as it did today for us. All I remember is that it was pitch black when we arrived into town and we had to drive over an old rickety railroad bridge that had two lanes off of the side but really it wasn’t two lanes, it was more like one and a half. 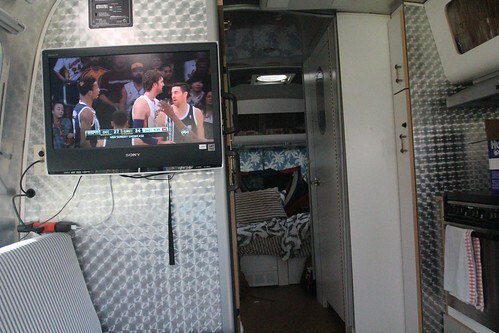 Our Airstream was definitely wider than one of the lanes. Add in my fear of bridges, other cars on the road and us as newbies with only 30 days of driving cross country under our belts, I vowed to never do that again. Ever. Our timing for arriving in New Orleans is a little nuts. Not only are we here during Mardi Gras, we are also here during Super Bowl. 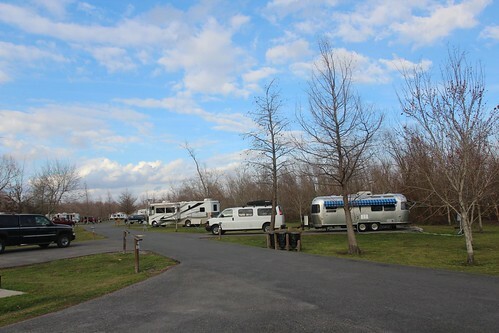 We had a tough time scraping together online reservations at the state park we stayed at last time across the river from the French Quarter, Bayou Segnette State Park. We actually had reservations for 4 nights starting tomorrow but decided to try our luck with a spot for tonight also. 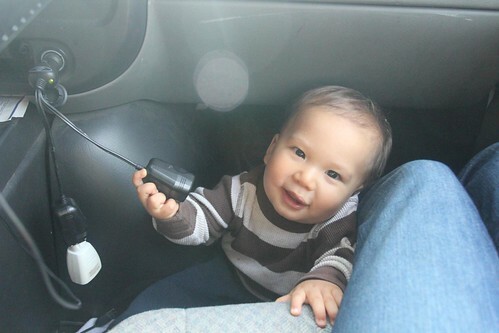 As soon as Dan pulls off of the freeway, little Luka wakes up and wants out of his seat. So as soon as Dan turns off the car, he is free and we wait with our fingers crossed for some good news from Dan. We waited and waited and waited. We waited so long that Luka decided to rewire our cell phone chargers. But the wait was worth it because Dan got us an extra night at the campground. It’s weird to be back to a campground that we really didn’t know we would ever see again after our 2010 trip. But here we were again with not one but two picnic benches for some reason. 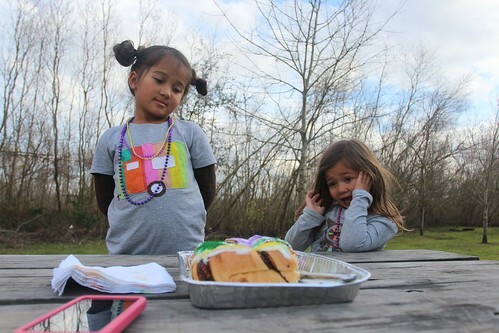 As soon as we got settled into our site, out came the king cake to celebrate our arrival into the city of New Orleans (or close enough to it). Hey who ate our cake? Oh yeah, us. Yesterday. Oink oink. We couldn’t wait. The girls and Yoda the cat were excited to see all the armadillos that we saw last time but sadly there were none to be seen. But there was a decent population of feral cats roaming around much to Yoda’s dismay. The campground was WiFi but it is painstakingly slow and it blocks any streaming what so ever. Boo! And our Sprint data card wasn’t much better. So plans to catch up with work and the blog quickly fell apart and out came the TV antenna. Dan was excited to finally catch a Lakers game. If you peek at that mess in the bedroom, you will see Luka’s tent. He sleeps in it during the day and we use pillows to help it from tipping over. Not pretty but it does the job. It turns out that the reason we were having such a hard time booking a site here was not necessarily because of Mardi Gras and the Superbowl, but because one of the two bathrooms were being renovated and the campground was only booking at half capacity for that reason. And lucky us, the bathroom right across from us (and the playground too) was the closed one. But with all the beignets in our future, it is probably a good thing we have to do a little extra walking while in town. Day 177: Gulf shores of Mississippi. 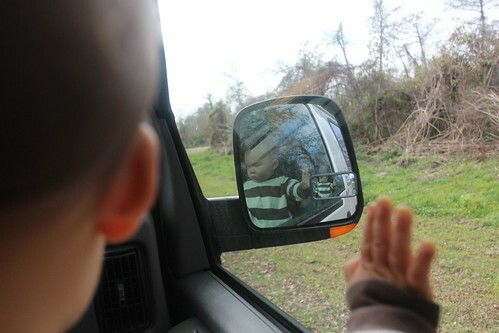 One Response to Day 178: Bayou Segnette State Park.